The Coppell girls soccer team celebrate it's Class 6A Region II quarterfinal victory on Thursday night against Sachse. 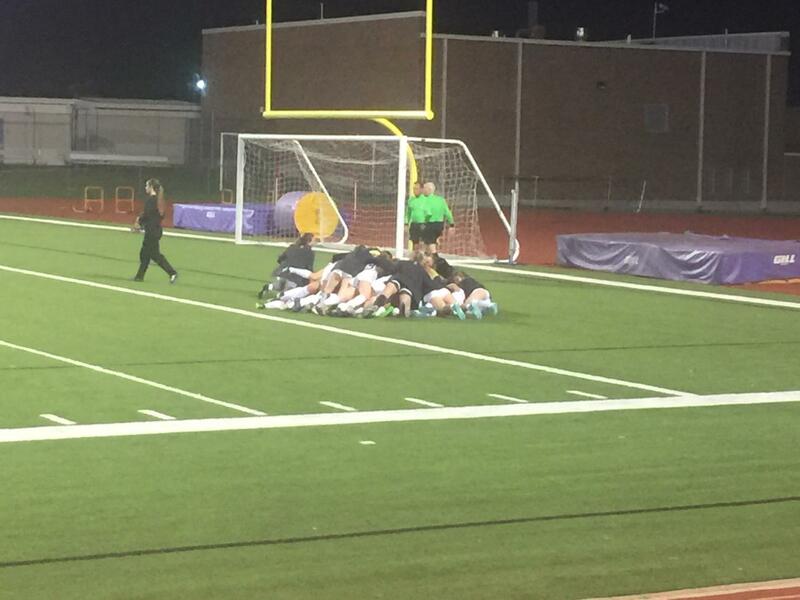 After playing 20 minutes of overtime, the Cowgirls won 4-3 during penalty kicks at Richardson’s Eagle-Mustang Stadium. RICHARDSON – The crowd sat at the edge of their seats, eyes glued to the field, as the ball flew from one side to the other, unable to reach the goal. On Thursday night, the Coppell girls soccer team edged Sachse, 4-3, in penalty kicks in the Class 6A Region II quarterfinals at Eagle Mustang Stadium. The Cowgirls advance to the Class 6A Region II tournament at Kelly Reeves Athletics Complex in Austin, where they will play tonight’s Klein Oak-Round Rock winner at 8 p.m. next Friday night. The past two years, the Cowgirls played the Lady Mustangs during the third round of playoffs and lost both times. However, this year, the Cowgirls were determined to win. The nail-biting game seemed to last forever. Passes were perfectly placed, shots on shots were taken and both teams did not give up. As the game progressed, the game got physical as numerous fouls were called on both teams including a yellow card. The score was frozen at 0-0. Following the buzzer at the end of the 80th minute, the teams prepared to go overtime. After two overtime periods (20 minutes), the match was decided by penalty kicks. The teams sent five players each up to take penalty kicks. By the end of first five players, the score stood at 3-3. Finally, both teams sent up three players each to finish the game. The shot from Coppell went in while Sachse’s shot was saved by Kellett, resulting in a 4-3 win for the Cowgirls. “We’re gonna recover first, and then next week we’re gonna work on critiquing those little things as we prepare for regional tournament next week,” Dunlevy said. 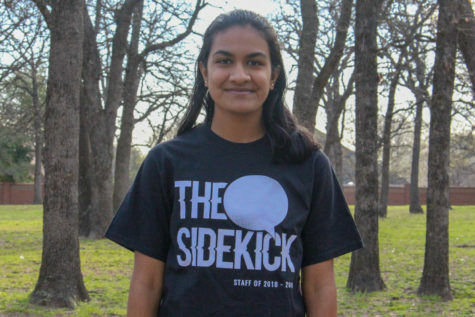 Follow @SidekickSports on Twitter for updates on the Cowgirls’ upcoming playoff matches.